Chemical peel is a procedure in which a chemical solution, usually an acid, is used to improve the texture and appearance of facial skin by removing its damaged, superficial layer. Typically administered as a facial peel, it is useful for individuals with fine wrinkles, facial blemishes, and uneven pigmentation. Alphahydroxy acids (AHAs), trichloroacetic acid (TCA) and Phenol are the most commonly used chemicals for this purpose. The selection of the chemical, and its precise formula used, may be adjusted to meet each patient’s needs. Chemical peel is not a substitute for a facelift, although it may be performed in conjunction with facial rejuvenation surgery. Of course, neither procedure will prevent or slow the aging process. Chemical peeling is one of the oldest cosmetic procedures performed, with roots in ancient Egypt, Greece, and Rome. The popularity of chemical peels today stems in their ability to provide nearly immediate results with relatively short recovery time, and that they can be done as outpatient procedures with no general anesthesia. Chemical peel is most commonly performed for cosmetic reasons — to enhance one’s appearance and self confidence. 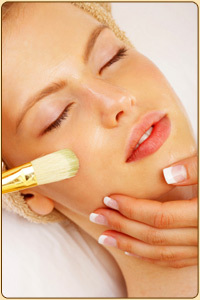 Chemical peel may also remove pre-cancerous skin growths, soften acne facial scars and even control acne. During your consultation, Dr. Monhian will determine whether this procedure is appropriate for your needs.